Luxury travel – what is it? Clearly Mark would rather go to the outdoor jacuzzi in the Fairmont Banff Springs spa than undergo the dreaded overload of tourist sights, which I always occasionally subject him to, and even I have to admit the Fairmont Banff Springs, a Scottish Castle-ish, French Chateau-esque historic hotel in the Canadian Rockies is a hard place to drag yourself away from. 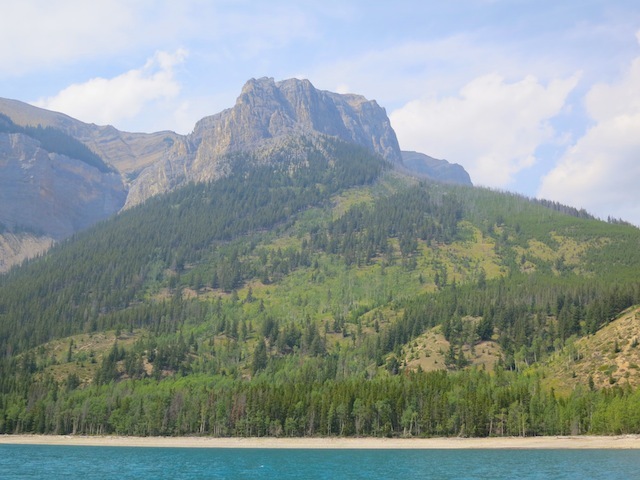 But Banff National Park has plenty of other attractions such as this one-hour boat tour, and eventually I managed to guilt Mark into catching the shuttle from downtown Banff to Lake Minnewanka. Just five km from the town of Banff, Lake Minnewanka is 21 km (13 miles) long, the longest lake in Banff National Park. It’s also much deeper than it was before a hydro dam raised the water level some 25 feet, submerging the fledgling resort village of Minnewanka Landing established in 1886. Today it’s an outdoor destination, with hiking trails, picnic areas, dive sites, fishing and boat rentals, and in the winter, snowshoeing and cross country skiing. Lake Minnewanka is also a place of legend and mystery, which of course is why I want to go. The Lake Minnewanka tour boat, the Daughter of the Peaks II, was smaller than I’d expected, and there were no tourist hordes to speak of. A faint haze from a forest fire at Snarl Creek hung across the surrounding Rocky Mountains. I still thought it was, but whatever the source of the haze, it only added to the otherworldly picture as our guide, a lanky young Canadian told us that human habitation at Lake Minnewanka dates back 13,000 years, and that 9,000 year-old artifacts such as Clovis points, hearth rocks and cooking bones have been found on its shores. The Stoney people who lived here called it Minn-waki, Lake of the Water Spirits. As the boat neared the east side of the lake I stared out mesmerized at a glacier-carved gap between mountains that the Stoney people referred to as Place of the Dark Spirits, a name that early European explorers somewhat erroneously translated as Devil’s Gap. For the Stoney people, our guide explained, spirits were in everything: the trees, stones and mountains. ‘Spirit’ was an energy, something to be respected and feared, but not disliked. It wasn’t as clear cut as good and evil, but simply something to be accepted as part of the world as they knew it. “Really, it’s just that the gap between the mountains creates a weather system and storms can often spring up,” he added, but as I stared out over the water, I wasn’t so sure. Mark got that look in his eyes, that one that says, “Danger! 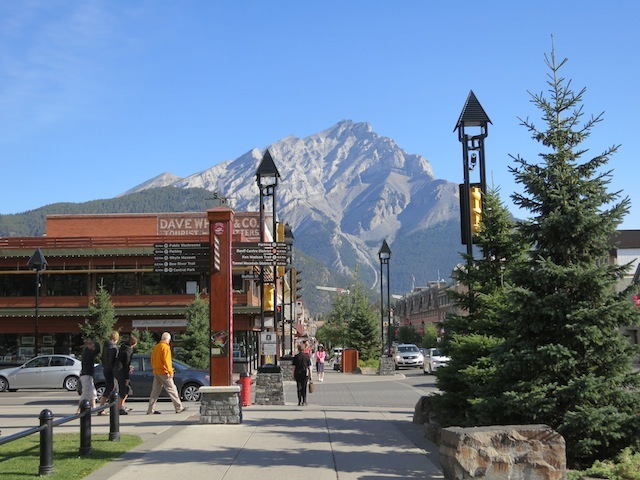 Manic wife alert!” Now that he’d done the requisite sightseeing activity, he seemed to feel he was entitled to sit on the patio of the Wild Flour: Banff’s Artisan Bakery Cafe, reading the paper and soaking up the bright energy of Banff on a sunny afternoon. Is Banff for couples, or for being alone? I knew Mark needed some downtime. He hadn’t had a holiday in a year, and, after all, it was the first day of our Rocky Mountain vacation (and the first leg of our Rocky Mountaineer train trip, hurrah!). So reluctantly I set off alone, pausing every few steps to throw glances back at him like Lassie in full rescue dog mode, trying to get someone’s attention because a person out there was in dire need of saving. Only I wasn’t sure which one of us needed saving. As I strode up Banff Avenue, pausing only briefly to look in shop windows filled with fur jackets, stone carvings and sports gear, I had to admit that if anyone needed saving it was probably me. Mark and I are both independent people. We don’t even live together (long story) even though we’re married, and I’ve been happily travelling solo for years. So why, when I travel as a couple do I feel the need for TOGETHERNESS AT ALL TIMES? I swear, it’s some kind of chemical reaction that happens when two people get on a plane. There should be studies done on this – the weird separation anxiety that occurs when a couple on vacation briefly go their separate ways. Furthering my chemical reaction theory, within five minutes of being out of sight of Mark, I’d (ahem) forgotten him altogether. 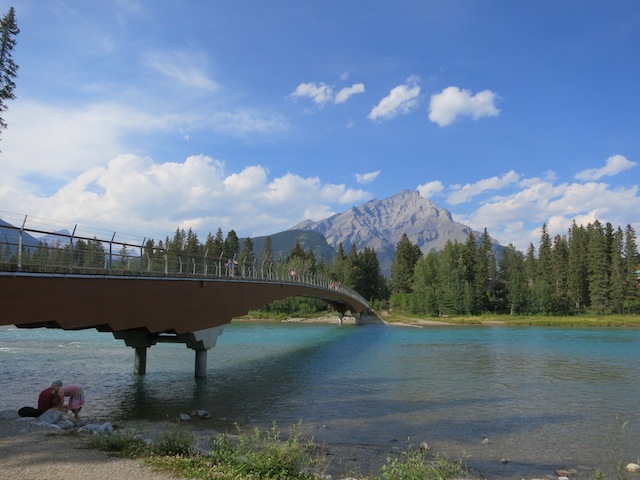 My body slowed to strolling speed as I circled around to the paved trail along the teal-toned Bow River. 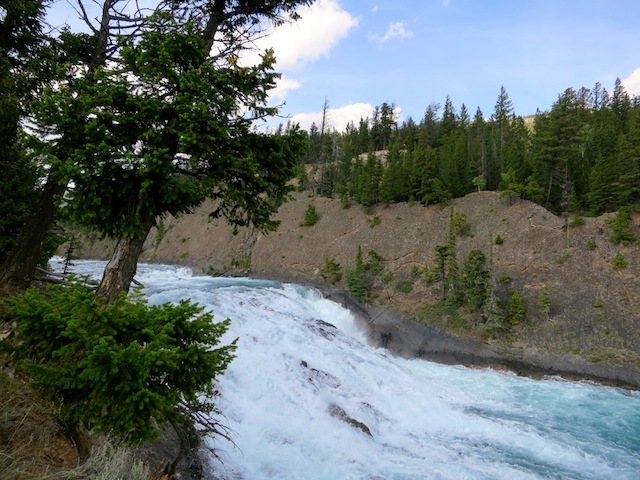 I followed it through the park, then over the pedestrian bridge and up to Bow Falls. At the falls, I leaned over the wooden rail, watching the water thunder down into Bow Valley, taking my restlessness with it. Good riddance to restlessness, I thought. 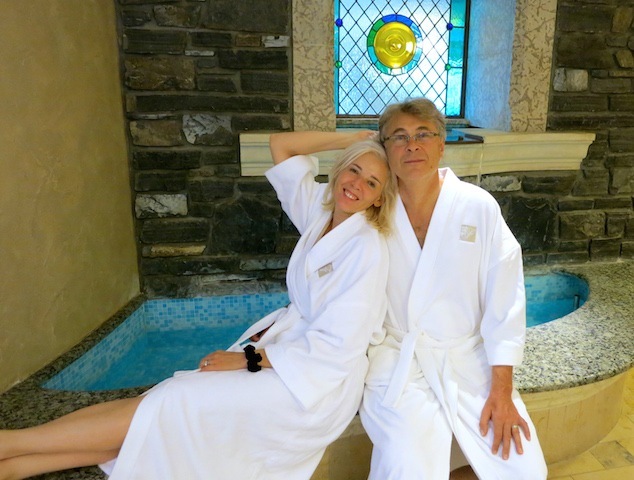 It was time for the Fairmont Banff Springs spa. 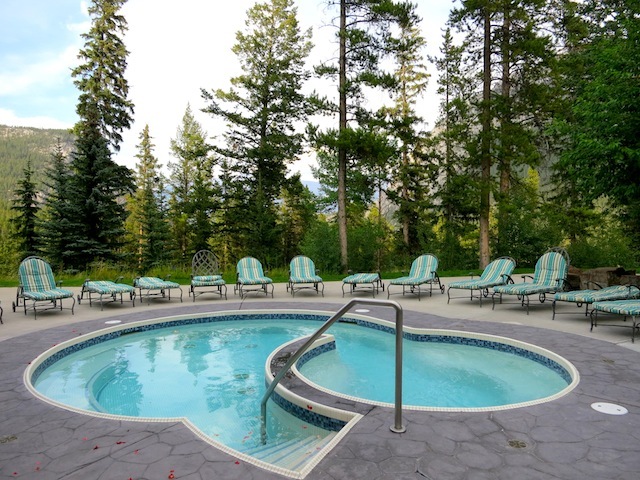 I followed a pine-needled path up a hill to the Fairmont Banff Springs and caught up with Mark in the blue-tiled mineral pool in the spa. A high dome over the pool brought in the late afternoon light, smaller waterfall pools of different temperatures spilled down around us and a bank of floor to ceiling windows overlooked the Bow Valley. After soaking, we padded outside and lay in deck chairs by the jacuzzi. This is pure mountain bliss, I thought, ready to launch into catatonic mode just as Mark decided to feel completely rejuvenated. “Mmmmphrph,” I replied not moving, content to lie in the sunshine and breathe in that pine-saturated air (which, I had to agree with Mark, did not smell of smoke). As I lay there the daintiest of deers clip clopped up to the wrought iron fence and peered in, while a chipmunk sat on a rock eating a seed. It was dusk by the time I went back in and joined Mark in the mineral pool, where the blue reflections off the water and splashing from the waterfalls felt as mesmerizing as the view of Devil’s Gap on Lake Minnewanka. Can pale blue be an energy, I wondered lazily, thinking that the Fairmont Banff Springs spa was like a parallel version of Banff, a recreated one where the frenetic sightseeing pace and crowds had been sifted out, with only the tranquility and beauty of the Rockies left behind. 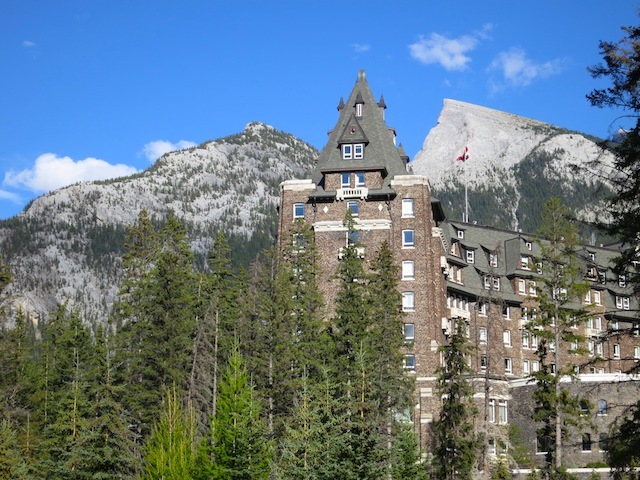 The warm water, infused with mineral salts from South Africa, made me buoyant and I floated over to Mark, thinking that if Devil’s Gap on Lake Minnewanka is the Place of Dark Spirits, the Fairmont Banff Springs spa is the Place of Calm. The Lake Minnewanka Cruise is actually called the Banff Lake Cruise, which is odd because there is no Banff Lake, but this is the state of affairs anyway. 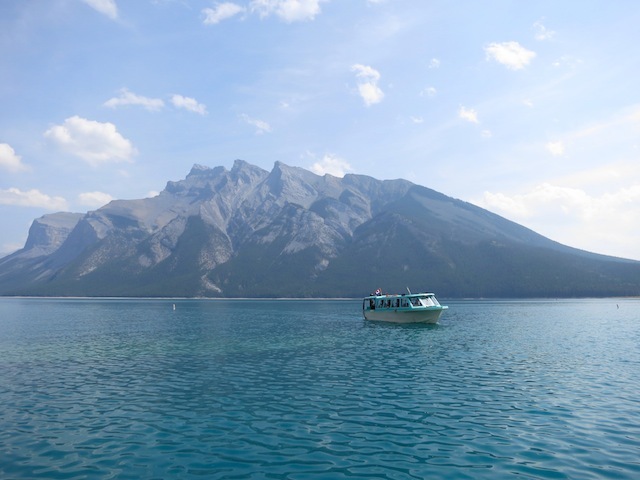 How to get to Lake Minnewanka for the Banff Lake Cruise (which is really the Lake Minnewanka Cruise). By car: Lake Minnewanka is a 15-minute drive from the town of Banff along the Minnewanka Loop Drive, in Banff National Park, Alberta, Canada. By shuttle: If you buy a ticket for the Lake Minnewanka Cruise, I mean, the Banff Lake Cruise, complimentary shuttle service between the Banff International Hotel downtown and Lake Minnewanka is available. Shuttle operates daily from early June to mid September. Where to catch the Banff Lake Cruise shuttle: The shuttle van for Lake Minnewanka departs from the Banff International Hotel every hour (on the half hour) from 11:30 a.m. to 5:30 p.m.
You should pre-book by calling the Minnewanka Boat House directly at 403-762-3473 or online at Brewster.ca. You can also arrange it through your hotel, we got the concierge at the Fairmont Banff Springs to book ours. 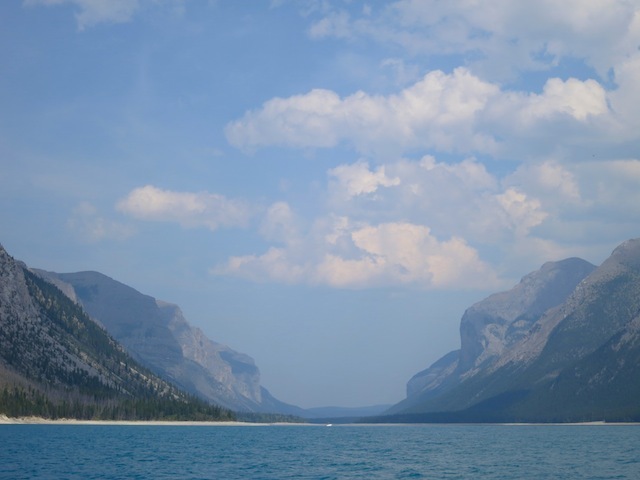 Price for the Lake Minnewanka Boat Tour: Adults $54.95, children $27.50. The Fairmont Banff Springs hotel is the finest luxury accommodation in Banff (second would probably be the Rimrock). A landmark in the Banff National Park, and an easy 10-minute walk across the Bow River from downtown Banff, the Fairmont Banff Springs has been hosting guests for more than 125 years. Open year round, the Banff Springs has a championship golf course during the summer, skiing in the winter, fine dining, horse riding and of course, the lovely Willow Stream Spa. Staying at the hotel is a splurge, but worth it. For a more comprehensive review of the spa read my Willow Stream Spa blog post. On this trip Mark and I didn’t do spa treatments, we just used the spa facilities (2 days in a row). I’ve had treatments here many times before, however, and it’s one of the best spas in Canada (and my favourite). The 38,000 square foot spa has 23 treatment rooms, a mineral pool, steam, sauna, eucalyptus inhalation room (it’s the warm one before the hot sauna), relaxation lounges (with tea and fruit) and indoor and outdoor jacuzzis. You can also access the hotel’s indoor and outdoor pools. If you are a hotel guest, spa access without a treatment is $69 while access (after 4:00 p.m.) costs $49. Members of the Fairmont President’s Club receive access for $49 Monday’s to Friday’s and $59 weekends. And there is no reason not to be a member because signing up is free. 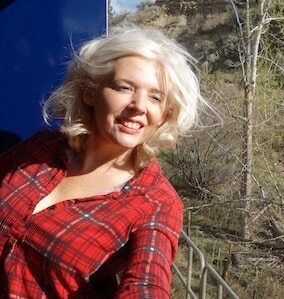 This was stop zero on our Rocky Mountaineer Rainforest to Goldrush train adventure through the Rockies. For a bigger look at Rocky Mountaineer trips read my travel blog post on Rocky Mountaineer Scenic Routes, and to learn about all of their various tours visit RockyMountaineer.com. Rocky Mountaineer works closely with Brewster, a company that offers bus tours and sightseeing packages, and runs the Banff Lake Cruise (which, of course, is really the Minnewanka Lake Cruise). Visit them at Brewster.ca. 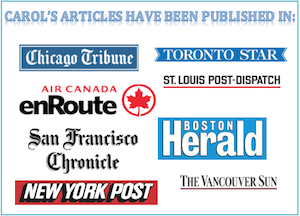 A former freelance travel columnist for the Toronto Star, Carol has won more than 20 writing and blogging awards and honours. A spa and luxury travel expert, she's written for top travel publications around the globe. That’s such a good idea, Ray. People (meaning me) can learn from you! I totally get where you are coming from about the “separation anxiety” when travelling with your significant other. I always feel like my Girlfriend will be “missing out” on something that she chooses not to do with me. Rather than make her do things that are not of particular interest to her, I now try to come up with a list of 2 – 3 things that we both agree that we want to see and do together on a trip. The rest of the time we just play it by ear. If she wants to do an excursion that I have zero interest in or vice versa, then we just agree at a set meeting point and time for later in the day so we know when we can have dinner together. It becomes a “win-win” situation for both of us in this case. Haha, Janice & George. What? You mean not all married couples live apart? Honestly, Culture Tripper, we should travel together. We’re all about hot springs, too! Tuscany, here we come. Oh, thanks Geanine! The Fairmont is definitely a good couples’ spot. Your photos are absolutely breath taking, and leaving me longing for a relaxing trip such as this one you have embarked upon. 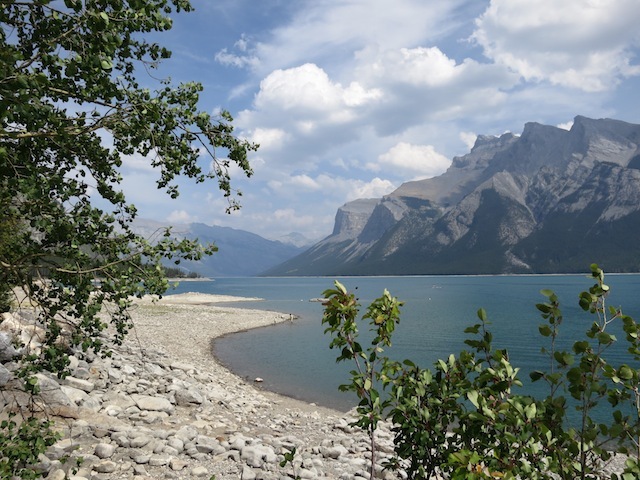 The mountain views surrounding Lake Minnewanka and the Fairmont Banff Springs Spa seems like the perfect place for a vacation with my husband to relax and recharge. Some pinworthy pics here, Carol! Lake Minnewanka does look mysterious. 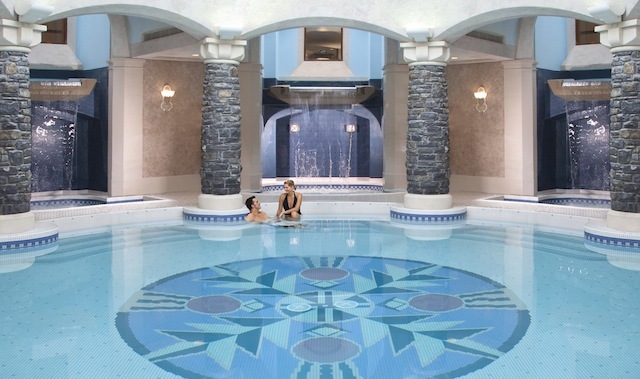 The spa at the Fairmont Banff springs looks fabulous. That’s one thing Pat and I can always agree on when travelling, finding a hot springs to soak in. Oh, interesting spirit info, Kirstin. You’re in the Philippines, I believe. So great to hear about different cultures. Our locals here also refer to some spirits that live near the mountains and the waters in faraway places. However, the difference is that they are really referring to actual spirits or creatures that belong in a different dimension. Some are dark, while some don’t have negative energy. 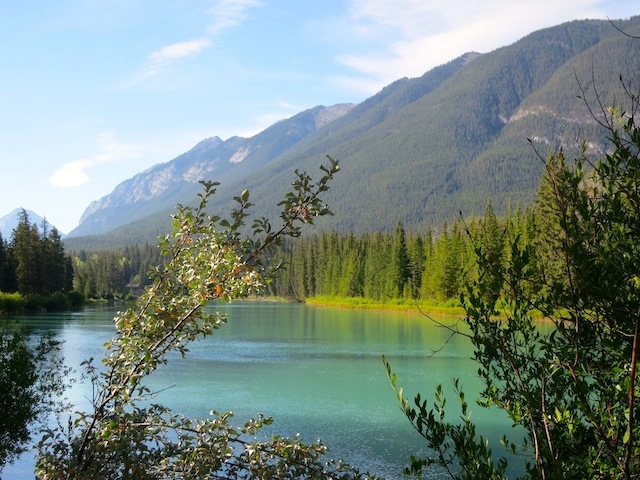 Canada and Banff are waiting for you, Palatable Pastime! Hi Jenne, You really need a few days to experience it all in Banff – that’s why I keep going back. Oh, thanks, Melissa – the photos don’t even do Banff justice. It’s truly a place that needs to be experienced in the real. Looks like you share my travel style, Michele! 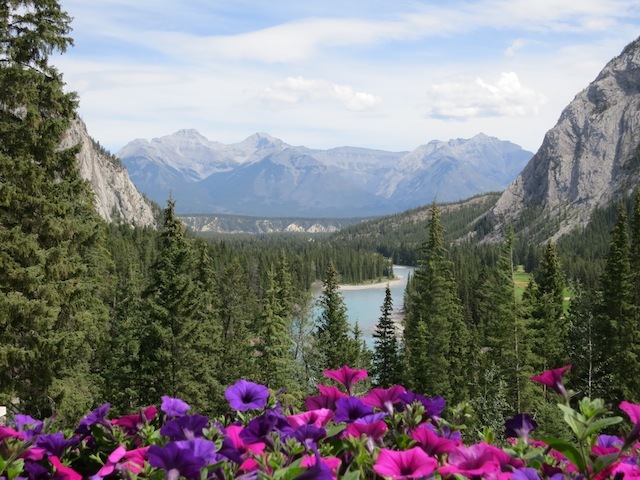 That’s an excellent idea, Dia – Girls Getaway to the Fairmont Banff Springs!!! Yes, Esme, Banff is a good place with or without kids. I always go without mine, but that’s only because I don’t have any. Sounds like you had a lovely trip. My husband and I have never been in a spa together and I just love the idea. We are planning a getaway without the kids. Banff would be a perfect place. Oh my gosh what beautiful scenery! I don’t think you would have to ask me twice to go on a boat tour. Looks like an amazing trip, I love the idea of a spa date as well! So your pictures are seriously breathtaking and make me want to pack my bags right now and get on a plane to Lake Minnewanka! I must be sure to visit Lake Minnewanka & Fairmont Banff Springs Spa soon! Thanks for sharing you awesome review. That looks like an amazing trip. The pictures are just beautiful. I would love to visit the Devil’s Gap and that Spa. Looks very relaxing. I have never been to Canada but the place you visited sounds and looks very beautiful. I bet you had a wonderful time. The mountains and scenery would be for me so restorative and relaxing. I don’t think I could think of a better place to getaway and chill. Great to hear from you, Lelde – I would have loved to visit! It’s always a balance between sightseeing and relaxing, isn’t it, Kita? It was a gorgeous trip, Jenn – and we so lucked out with the weather! Everything you photographed is absolutely breath taking. The mountains around Lake Minnewanka & Fairmont Banff Springs Spa makes me want to get a girl’s trip together and have us relax in the spa. I totally get the whole separation anxiety phenomena – it’s so weird. But like you discovered it disappears quickly as you fall back into solo wandering. Sounds like it was a lovely trip. Subscribe to this blog and you won't miss a post! Use the search box at the top right to look for specific places. Click on the ‘DESTINATIONS TO TRAVEL TO’ tab on the menu bar to go to my destinations page. The CATEGORIES drop down menu above will point you to locations and travel themes such as hotels, outdoor adventure and tours. SUBSCRIBE to keep up with the latest and get tips to make your own journey inspiring.